What is it that you really remember about any of the last five weddings you went to? Can you distinguish between any of the weddings dresses? If they were all lined up, could you put the dress with the bride? Would you even know where to begin with the Grooms’ suits? The chicken main meal, covered in a sauce of some kind, with roast potatoes and some green veg. Which wedding was that? Oh, it was all of them, of course it was. The vicar made that almost funny joke about love and The Beatles, it went down like a storm. That was at, oh what’s their names’ wedding. The problem with getting old, isn’t that all of your friends are getting married, it is that all of the weddings are identical. There is just nothing which stands out between them. That’s where the money you pay for a great venue makes all the difference. The venue does more than just keep you dry during the rain, it provides the back drop to everything you do. From the very second you turn off the main road and onto the drive, it has set the day off right. You can impress all of your guests before you have even entered onto the scene. The gardens in a stately manor are often used for weddings, because they create the right atmosphere and ambience. They allow for the freedom of expression with a touch of class and sophistication. A tall church spire will have heads and necks craning immediately, before they can focus all of their attention upon the stunning bride. Even a stately hall can create an intimate event where you can be comfortable amongst all your guests. Then there are the pictures and the necessary eye-catching backdrop. The Bride and the Groom can stand in front of a white-washed wall all day long and never be as truly stunning as when they are stood surrounded by the arches and colonnades within a church or stately home. The pictures are the one object which will ensure your memories live forever. They are the only things you will put up around the house of your wedding day. They are the one item which you would run into a burning building to save. They matter and they matter enough to plan for some stunning subjects. The Dream Wedding Venues will not just offer you a great meal, a lively reception and a few rooms in the nearest hotel. The dream venue will offer you the complete package and this includes the photo locations. 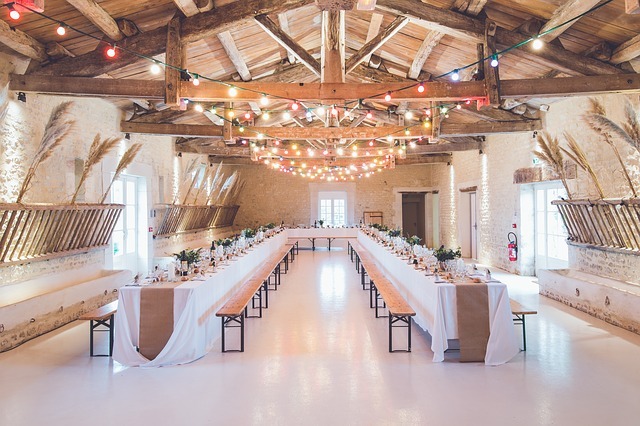 You deserve to be spending your wedding day on what feels like a film set. You are that special. You should feel that special and your memories should forever be that special. You will judge your wedding day, every time you walk down the corridor of you home and walk past the picture you the happy Bride and Groom, holding hands, the venue shining in the background, smiles beaming across your face. This is what makes a dream wedding venue.